When travelling abroad, whether it’s for a quick break to see the sights of the magnificent city of Hong Kong or for an extended period to really get to know the city and its surrounding area, there are plenty of home comforts and extra things that you may like to bring with you. Send My Bag is the perfect solution if you are concerned about the amount of luggage you want to take or bring back with you. Perhaps you have heavy or oddly shaped items that might incur oversized baggage fees, such as bikes or heavy hiking boots. Send My Bag can pick your oversized or extra luggage directly from your front door and deliver it to your destination in Hong Kong, wherever that might be. It takes all the hassle out of travelling since you don’t have to worry about missing luggage, extra charges that you might incur or having to transport your luggage from the airport to your accommodation. If you need to send more than parcels, baggage and luggage to Hong Kong, you could look into the following options for shipping items internationally, especially if you need to send large items like a snooker table or dining table. Because most countries give a free personal effects allowance, the majority of shipments with Send My Bag will not be stopped by customs. Personal effects are normally viewed as used items that the sender has owned for at least 6 months. 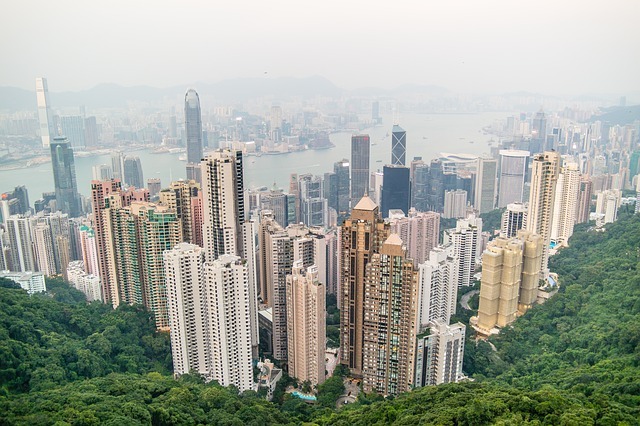 As customs processes and allowances vary according to country, we suggest all travellers take a few minutes to find out how their personal circumstances and what they are sending will be assessed under Hong Kong customs regulations.